The Ministry of Culture was preceded by the Council for Cultural Affairs (CCA), an antecedent organization established on Nov. 11, 1981. The CCA was tasked with planning the nation's cultural infrastructure, promoting the development of national and regional culture, and drawing up and implementing related policies. The CCA was composed of three departments overseeing the nation's cultural policies and policy research, visual arts, performing arts, literature, history, international cultural exchanges, heritage preservation, community empowerment and aesthetics of everyday life, and cultural rights. It also administered 14 affiliated institutions. With the rise of the greater China region in the 21st century, Taiwan (Republic of China) must contend with global competition, digitization, and industrialization. In addition are the numerous challenges posed by shifting trends in the Asian cultural landscape, and challenges associated with the rise of China. In response, Taiwan is looking to its unique features and environment to implement long-term developmental policies that will carve out a space for its cultural sphere to thrive amidst strong competition. 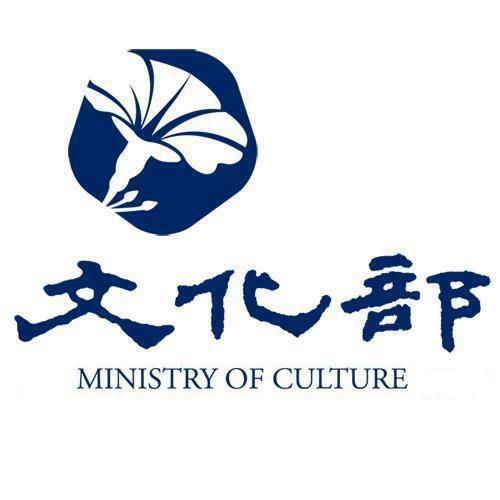 On May 20, 2012, the CCA was upgraded to the Ministry of Culture as part of a larger governmental reorganization. This move served to rectify long-standing issues concerning personnel and resource allocation that had plagued the cultural sector. As a result, agencies, and parts of agencies from across the government responsible for cultural issues have now come together under one organization. More saliently, the Ministry is working to create an environment in which cultural activities thrive, where cultural heritage is preserved, and all people — regardless of background or status — are given opportunities to express themselves culturally and become more culturally refined. To achieve these goals, the Ministry will continue the work done by its predecessor in preserving cultural assets and promoting literature, community building, cultural infrastructure construction, performing arts, visual arts, the cultural and creative sector, and cultural exchanges. To this, it has added supervision of the publishing, pop music, film, and broadcasting policy functions of the now-defunct Government Information Office (GIO), as well as the government publications affairs of the dissolved Research, Development and Evaluation Commission (RDEC). The National Museum of History, National Dr. Sun Yat-sen Memorial Hall, National Chiang Kai-shek Memorial Hall, National Museum of Prehistory, and the National Theater and Concert Hall, all of which were previously overseen by the Ministry of Education, have also come under the Ministry's supervision. A total of 19 agencies now fall under the Ministry's supervision, up from the 14 overseen by the CCA. The Ministry will work to break free from the constrained modes of thinking and focus on departmental missions that in the past hampered cultural growth. Plans will be drawn up with flexibility, inclusiveness, and the necessity of integrating resources in mind. The quality of aesthetics in daily life, shaping local culture, cultural dissemination, and the economic value of culture are all elements shaping the vitality of culture in Taiwan. These new measures will help society and related industries build on the present and achieve even greater integration and cultural wealth. Visitors Today:168. All Time Visitors:1,229,975.